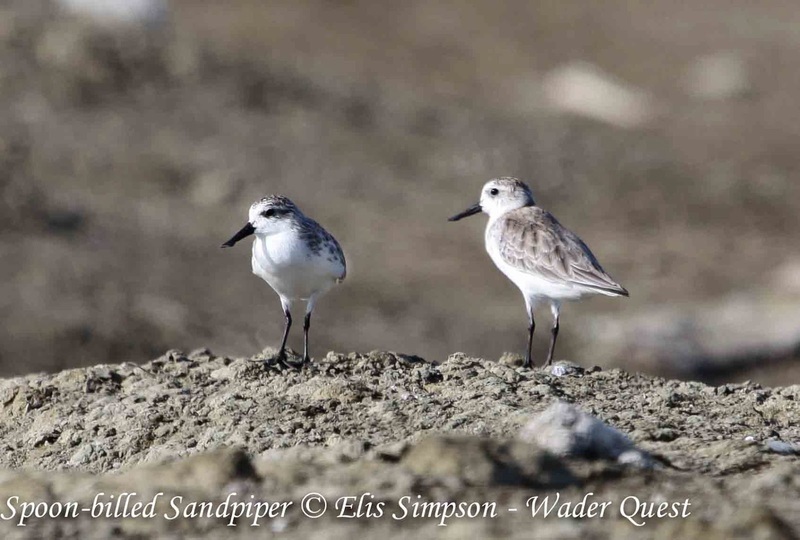 Wader Quest: Look! We reached £2,000, thanks to everyone who donated. Look! We reached £2,000, thanks to everyone who donated. Another milestone passed with the donation total reaching £2k following a talk given to the South Beds RSPB local group at Houghton Regis last night. The group was very generous with £47.50 being donated to the Spoon-billed Sandpipers and £17.00 being donated to the Hooded Plovers. Thanks everyone who attended. Our next booked talk is 11th December at 14:00 hrs. Potters Bar and Barnet RSPB local group, St John's United Reform Church, Mowbray Road, New Barnet, EN51RH. If you are in the area come along and meet us, we look forward to seeing you. Now lets see what we can do about reaching our goal of £3,000, c'mon, the economy is on the mend, lets get optimistic and save a species from extinction at the same time! Spoon-billed Sandpiper Eurynorhynchus pygmaeus: Pak Thale, Thailand. Thanks again to all the generous folk who have donated so far!! !